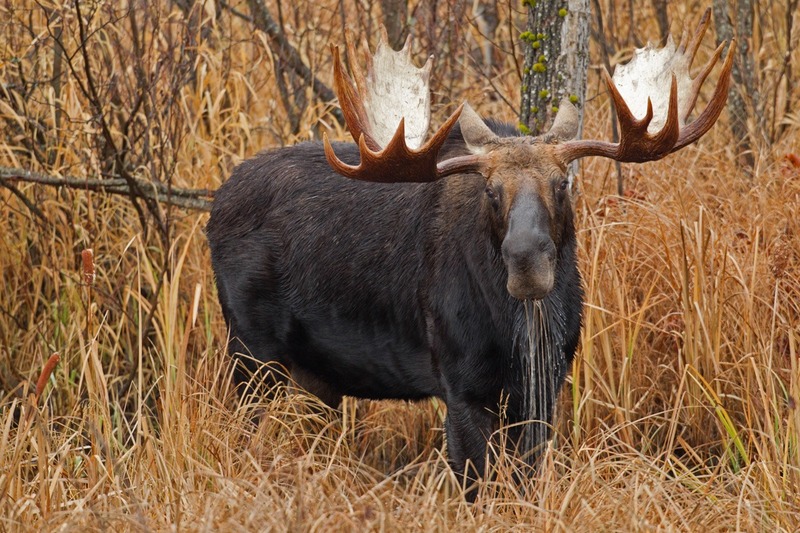 The Canadian Moose, the largest of Manitoba’s big game animals, is an admired species that repeatedly captures the interests of hunters from near and far. Broadly acknowledged as a premier moose hunting destination, Manitoba offers a variety of select areas for exceptional moose hunting opportunities with many setting impressive examples for one of Canada’s biggest antlered animals. Remote populations, prime habitat and limited access are all contributing features that have heightened their hunt able status and helped form their long-standing reputation for reaching 1200 plus pounds and presenting antler spreads that often surpass 5 feet in width. Persuading an enormous bull to hastily inspect a broadcast of appealing cow calls or grunts is an epic experience to say the least. Observing 1200 pounds of pure muscle forcefully maneuver towards you, with sprawling antlers aggressively demolishing obstacles in its path, is unquestionably one of the most thrilling sights nature has to offer. Moments of excitement and danger, with instants of vulnerability are all too common with an “up close” moose encounter. Their overwhelming size, fearless character and willingness to commit makes them an ultimate choice for one of the most visually exhilarating big game experiences! Moose hunts are popular in areas of the Northern, Parkland, Western, Interlake and Eastern Region. Depending on the Game Hunting Area (GHA), hunting season dates are primarily during the months of September, October and December. For more information on Game Hunting Areas (GHA’s), season dates, resident, non-resident & foreign resident Moose licenses or additional information on hunting in Manitoba, please visit the Manitoba Conservation website or refer to the current Manitoba Hunting Guide.